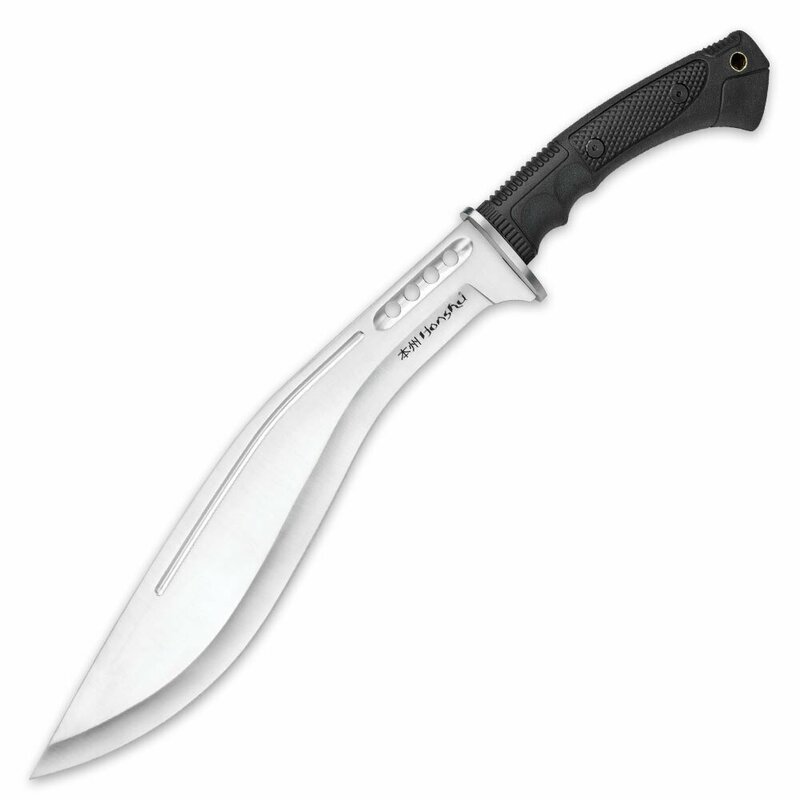 United Cutlery Honshu Boshin Kukri(UC3241) Machetes for every day use. Cold Stell machetes - high carbon steel survival machetes. In the span of just a few years, Honshu's remarkable "Boshin" cutlery line has skyrocketed to international renown and acclaim, gaining a diverse following numbering in the thousands. From tactical cutlery fanatics to staunch devotees of ancient Japanese swordcraft, blade enthusiasts of all stripes share a common love and respect for Boshin swords and knives, lauding their unique blend of tradition and innovation, style and function. The legendary Nepalese kukri is the latest historic blade to undergo the "Boshin transformation." Just as it did with the katana, wakizashi and bowie, Honshu rejuvenates and redefines this centuries-old machete variety, adapting it to suit the unique challenges of modern combat and outdoor adventure. Comes with black leather sheath.